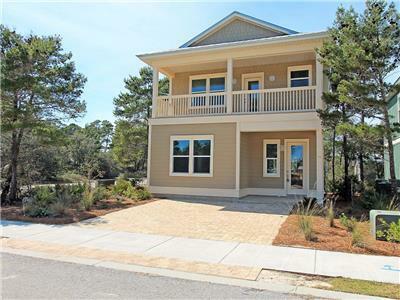 C-Salt Cottage at Prominence North! 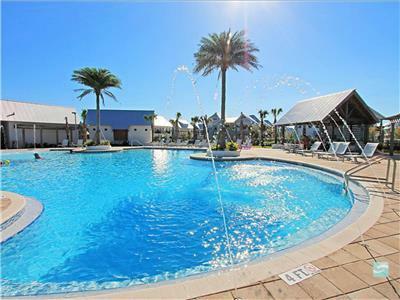 Attention: Please note our age requirement policy: One (1) parent or guardian over the age of 25 be present and staying in the property for every three (3) guests between the ages of 15 and 25. 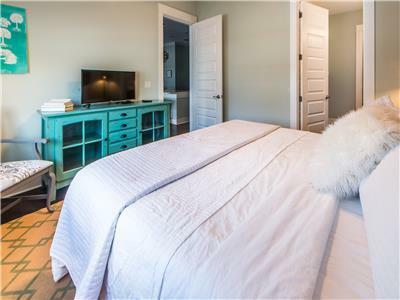 This is a Non-Smoking townhome and no pets are allowed. 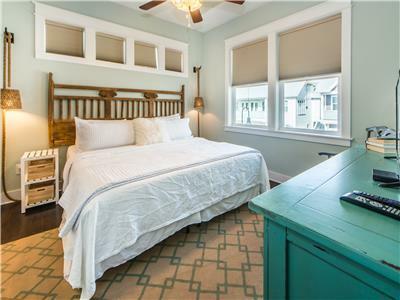 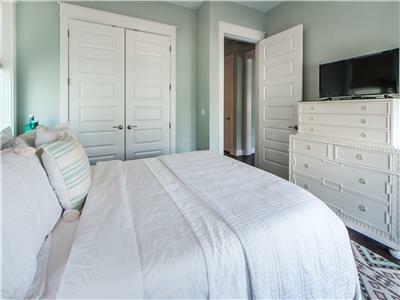 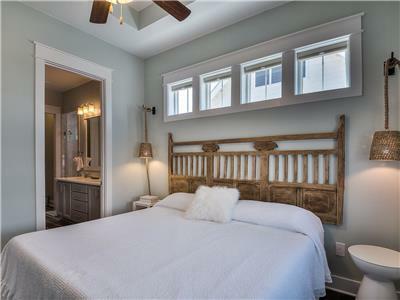 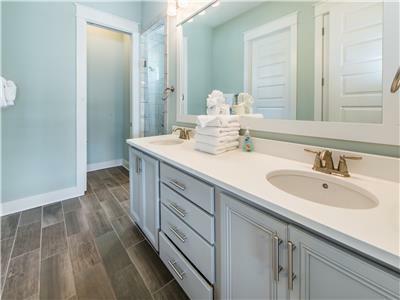 Kick off your shoes and unwind along the calming shores of 30A, where coastal adventures await in our 'C-Salt Cottage' at the Town of Prominence; offering resort accommodations for up to 6 guests in 2 bedrooms and 2 bathrooms. 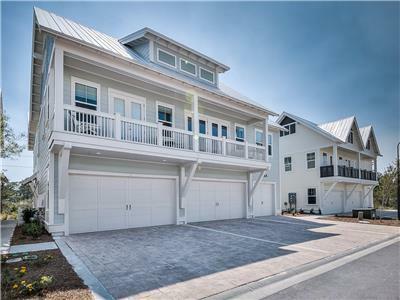 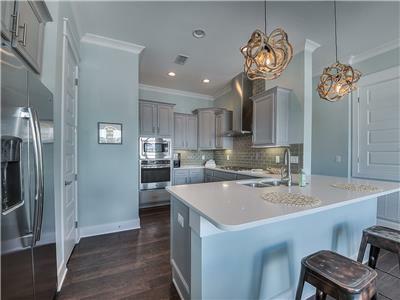 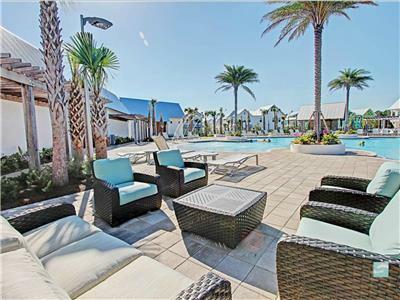 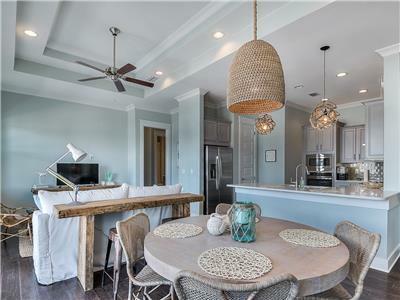 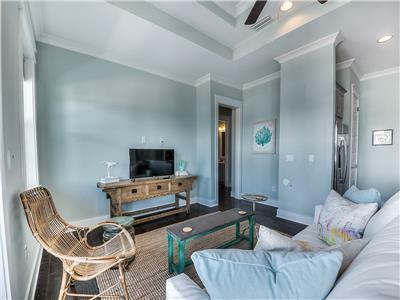 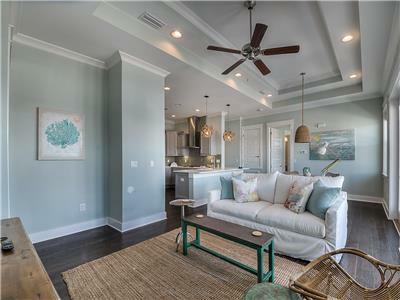 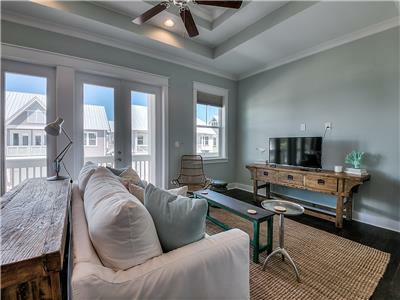 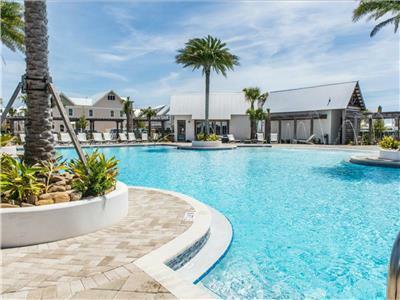 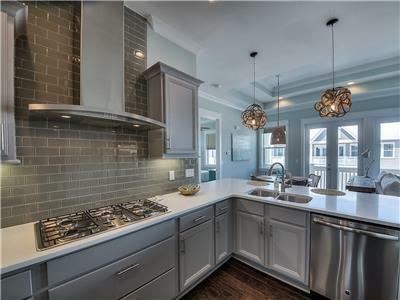 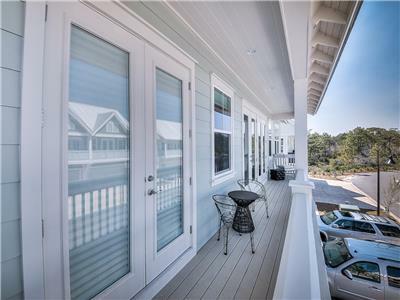 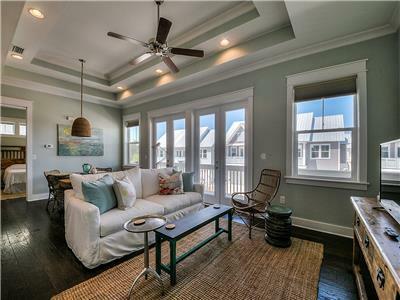 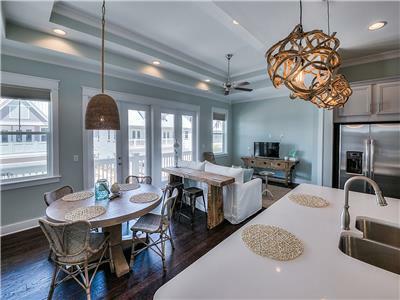 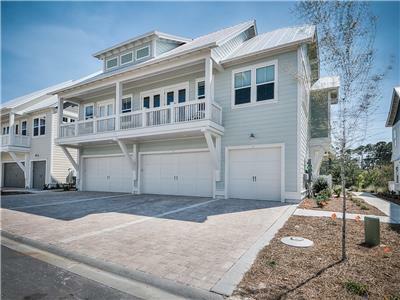 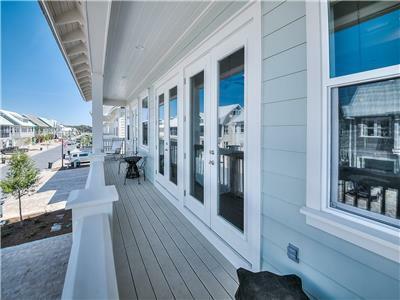 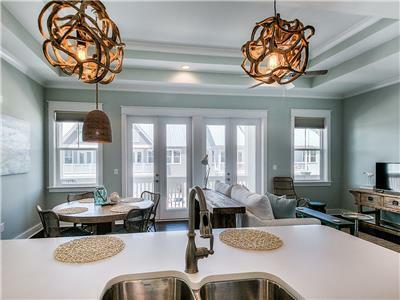 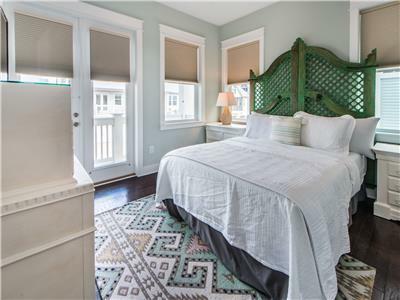 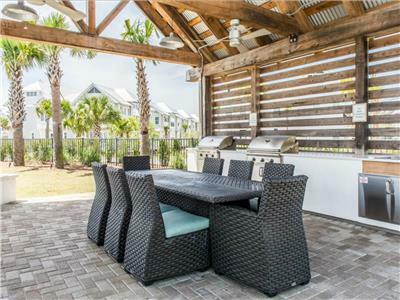 This luxury townhome presents a modern, coastal feel of rest and relaxation in the heart of 30A and is only minutes away from popular hot spots such as Seaside, Rosemary Beach, Watersound and Alys Beach! 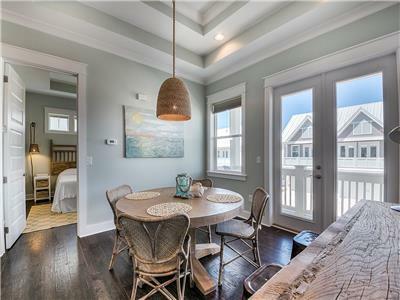 Climb up to the second floor of 'C-Salt Cottage' and enjoy a comfortable open floor concept. 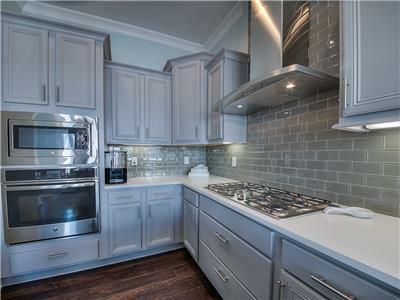 The kitchen boasts granite counter-tops, gas stove top, high-end stainless steel appliances, luxury fixtures, and European style cabinetry! 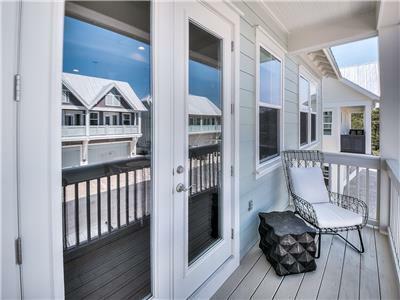 The living and dining area offers modern furnishings and opens out to a large balcony for quite relaxation. 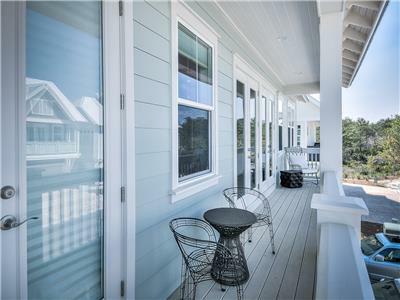 These are just a few of the features that will make 'C-Salt Cottage' part of your family's go-to vacation spot year after year! 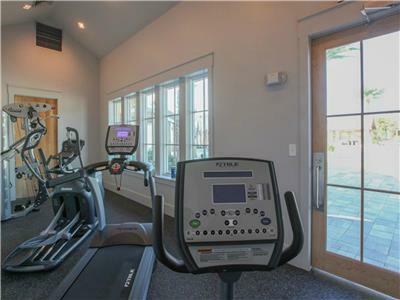 Two bikes are available for convenient travel! 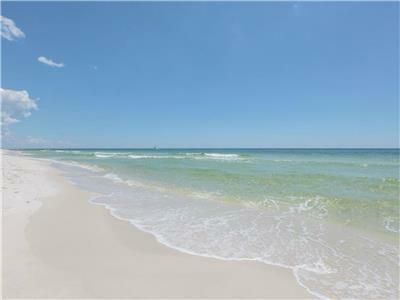 The Gulf Lakes beach access is a Walton County beach access located about 1 mile to the East of Prominence. 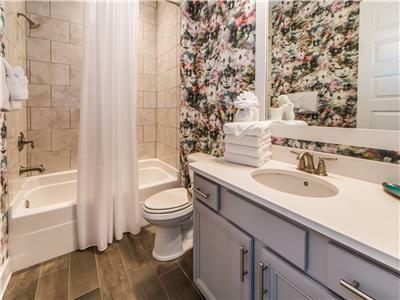 This is a small access and can be easily missed. 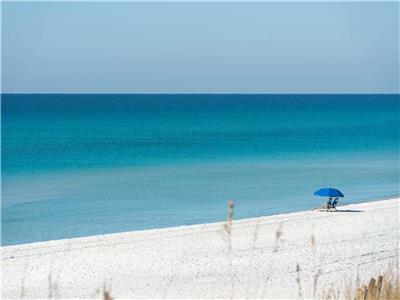 Deer Lake State Park beach access is located 0.5 miles West of Prominence. 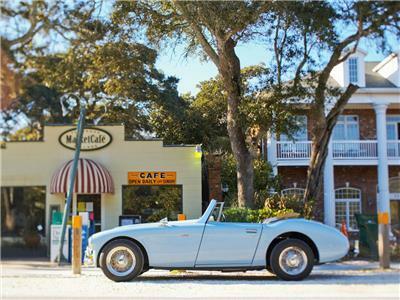 While it is popular, there are a few things to keep in mind: There is a small parking area at the access (approx. 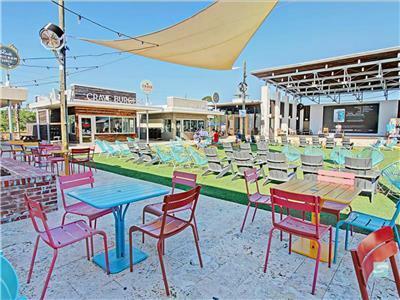 $3 for parking) Bathrooms are also available at the access. 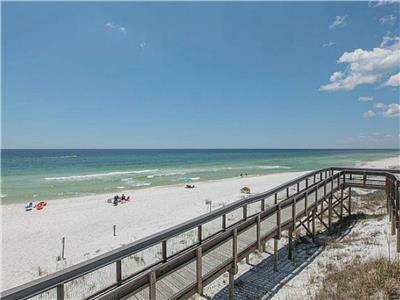 The walk from the parking area to the beach is a bit longer than most area accesses. 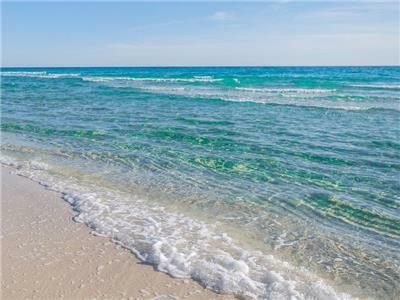 IMPORTANT - Because this is a state park, and not a Walton County beach access, alcohol is not allowed. 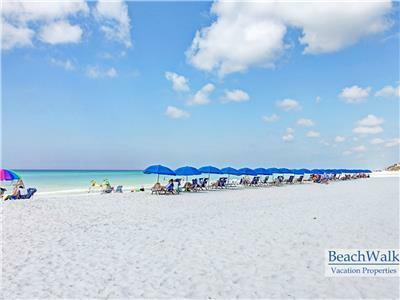 Beach service is not available at this location either. 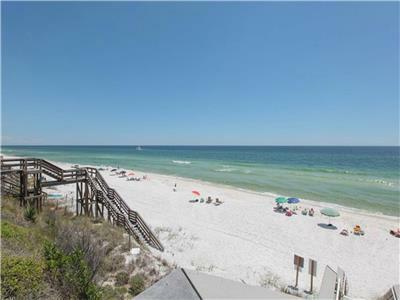 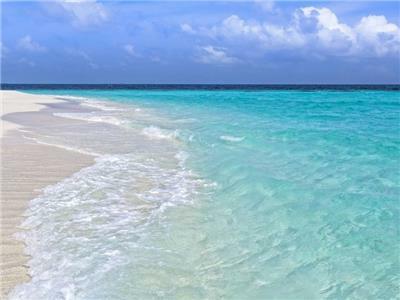 Santa Clara beach access is a Walton County, ADA approved, beach access located near Bramble Grove Road, about 3.5 miles to the west of Prominence. 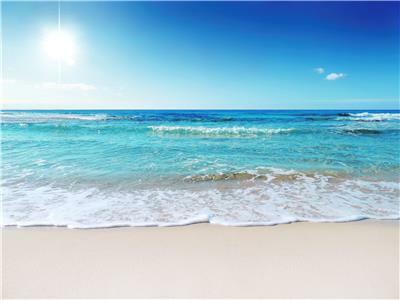 *This is the scheduled stop for the Prominence shuttle. 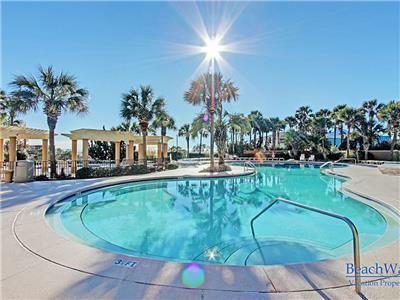 Parking and bathrooms are also available at the Santa Clara access. 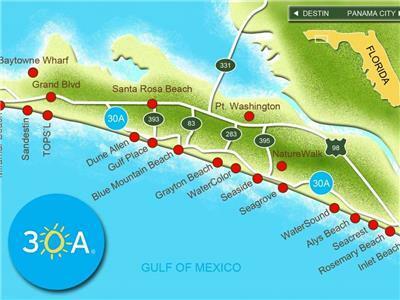 If you take the tram, please note that the hours of operation are 9 a.m. to 3 p.m. (The Prominence Beach Shuttle runs seasonally from Memorial Day to Labor Day). 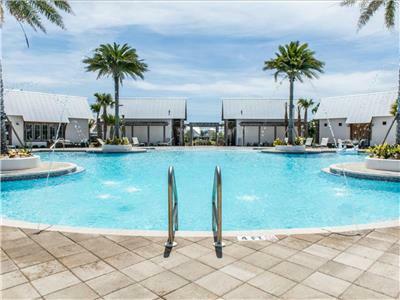 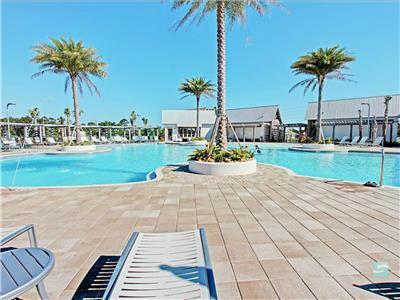 The Town of Prominence offers a large resort style community pool over 5,000 sq. 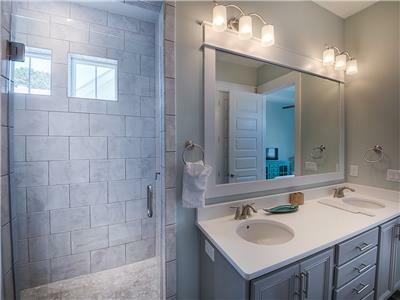 ft.! 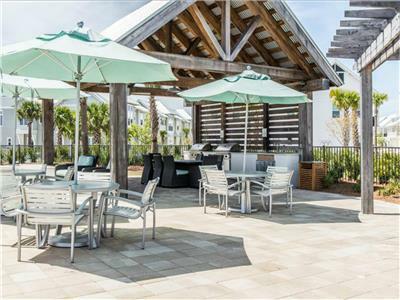 Enjoy grills, a bathhouse, poolside restrooms and fitness center! 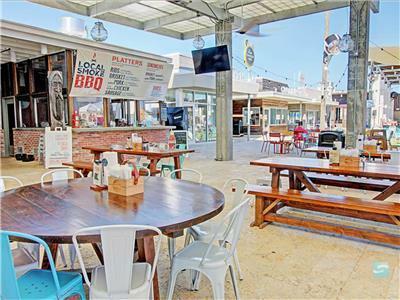 Nearby restaurants to The Town of Prominence 30A include 'The Hub' which offers several restaurants including Crave Roadside Burgers, Mile Marker 15, Local Smoke, American Drinking Post, Mr. 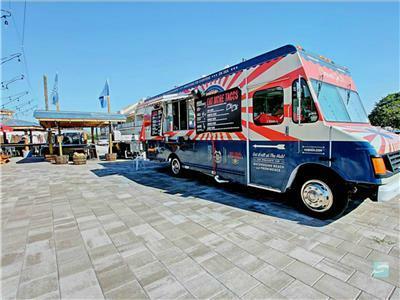 Freeze, The Hub Taco Truck, as well as many more! 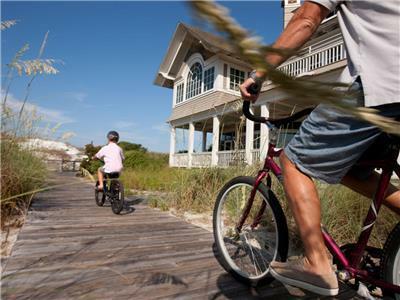 The Town of Prominence is an active developing community. 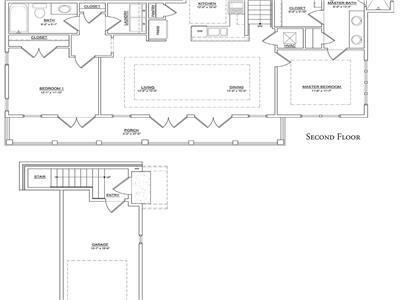 For any questions on any active construction, do not hesitation giving us a call. 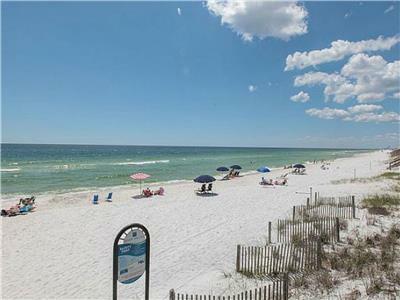 Seacrest Beach All Seasons Attraction 1.89 mi. 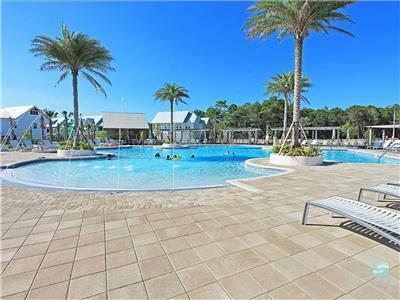 WaterSound	 All Seasons Attraction 2.49 mi. 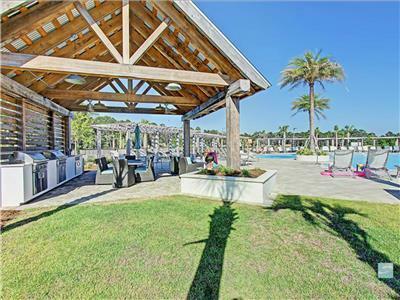 Alys Beach All Seasons Attraction 2.55 mi. 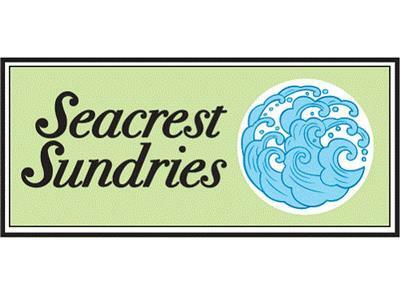 Seacrest Sundries Restaurant 3.21 mi. 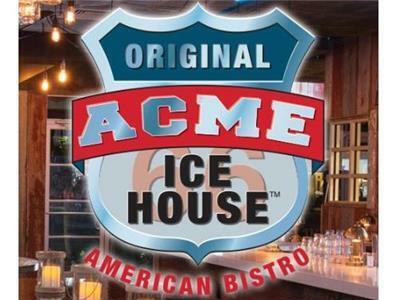 Acme Ice House American Bistro Restaurant 3.21 mi. 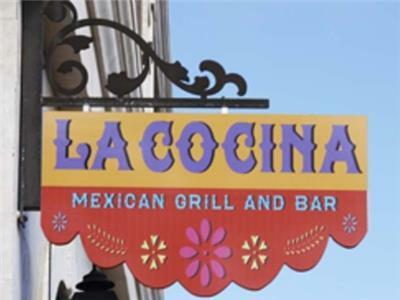 La Cocina Mexican Grill and Bar Restaurant 3.21 mi. 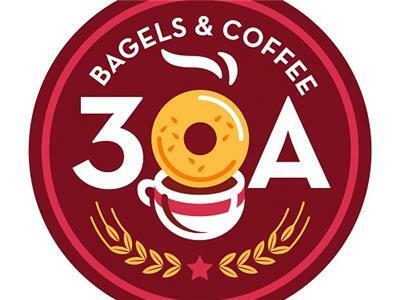 30A Bagels and Coffee Restaurant 3.21 mi. 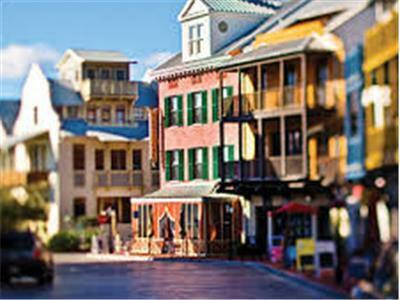 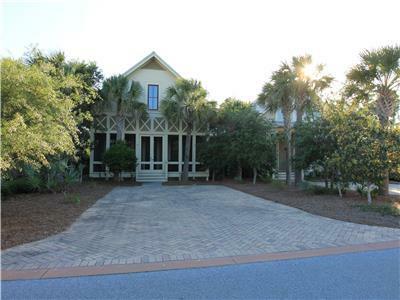 Rosemary Beach All Seasons Attraction 3.51 mi. 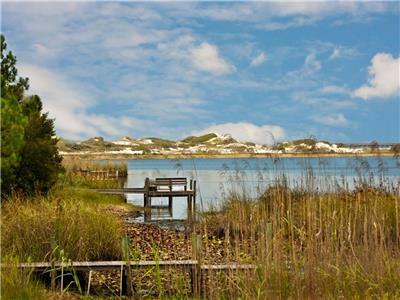 NatureWalk All Seasons Attraction 3.70 mi. 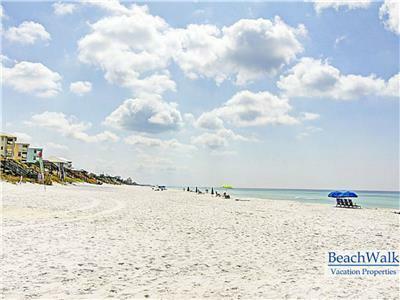 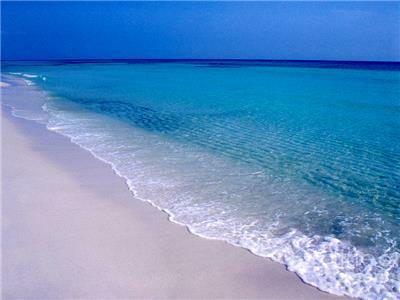 Seagrove Beach All Seasons Attraction 3.86 mi.